Butter individual ramekins or a 9” X 9” pan. Peel, Core, and Dice the apples about 1/4" thick. Toss with the remaining filling ingredients, and spread them evenly in the buttered pan or ramekins. To make the topping, whisk together the flour, oats, salt, sugar, cinnamon, and baking powder. Add the cold butter, working it in to make an unevenly crumbly mixture. Stir in the nuts, if you're using them. Spread the topping over the apples in the pan. Set the ramekins on a parchment- or foil-lined cookie sheet, to catch any potential drips. Bake the crisp for about 60 minutes, until it's bubbling and the top is golden brown. Remove from the oven, and allow it to cool for at least 20 minutes before serving. 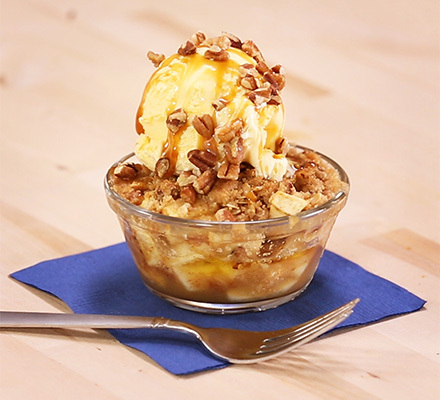 Top each serving with Blue Ribbon Classics French Vanilla ice cream and drizzle some caramel sauce over it. 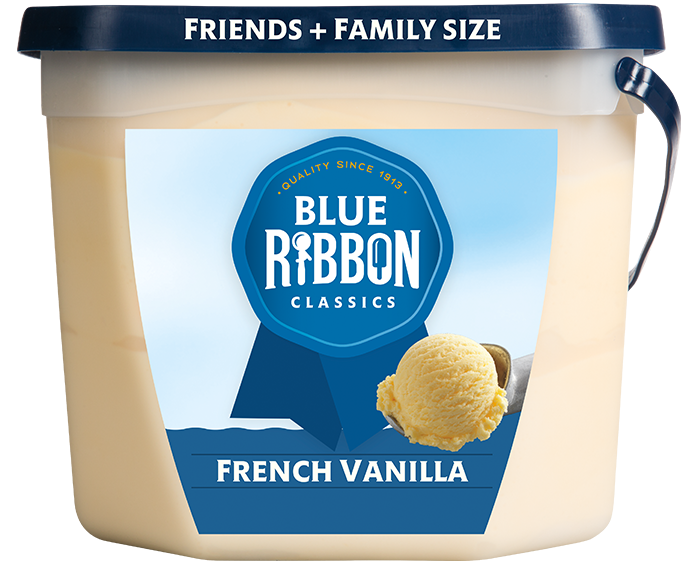 Rich artificially flavored french vanilla reduced fat ice cream with silky butter cream flavor. Perfectly paired with your favorite slice of pie!